Remy, born of fire, has come to engage in an age-old gentleman’s game, determined to obtain the most conquests over the course of the evening. Fleur, the ice queen, has only one thing on her mind: winning the heart of a man who does not belong to her. She’ll use anyone, even her innocent little brother, Teddy, to achieve her goal. But not even the Fontenot twins are immune to fate’s twisted sense of humor. This short story gives the reader a chance to learn more about scheming twins Remy and Fleur Fontenot – and the entertaining situations they can get themselves into. Fire & Ice is a fun read that contains some of the Deschanels and Sullivans, but Anne, someone you really shouldn’t provoke, is the more prominent Deschanel in this story and adds to the amusement. If you follow this series, don’t miss this one, but if you’re just picking up the series, don’t start here. This is definitely for readers already familiar with the characters. 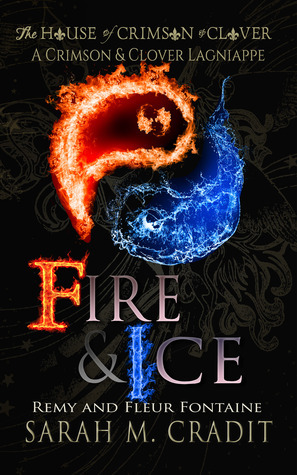 Fire & Ice is available today at Amazon and B&N!